Cocktail 10.4.3 – General maintenance and optimization utility. 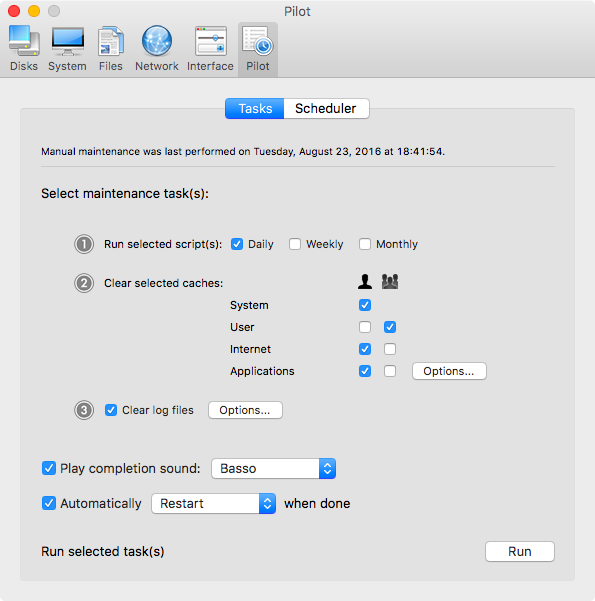 The application serves up a perfect mix of maintenance tools and tweaks, all accessible through a clean and easy to use interface. Cocktail’s features are arranged into five categories that helps you manage various aspects of your computer. It also comes with an automatic Pilot-mode that allows you to simply press a button and relax, knowing that Cocktail will take care of the rest. Next story Wondershare Video Converter Ultimate 10.0.4 – Convert, Download, Edit, Burn Videos in 1,000 formats and more. Previous story Amarra 4.0.295 – High resolution music player for audiophiles. CleanApp 4.0.7 – Application deinstaller and archiver. MacClean 3.1.2 – Clean, optimize, and protect from malicious threats. PortsMonitor 1.2 – a system utility for monitor system connections by application, and connections’ status.